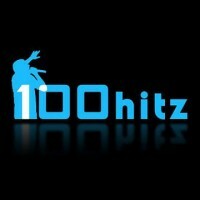 100hitz.com is an online radio network of free internet radio stations, featuring multiple genres of free internet radio stations, with the best in online radio and steaming audio music entertainment. We also feature free music videos, a chat and shout box and are myspace friendly. Our online internet radio stations are geared toward a young demographic and include Alternative, Adult Contemporary, Alternative Rock, Rock, Country, Dance, Club Music, Hip Hop, Top 40, Urban and Contemporary RnB.